COMMENTS Comentários desativados em Globe Trotteurs Festival ! 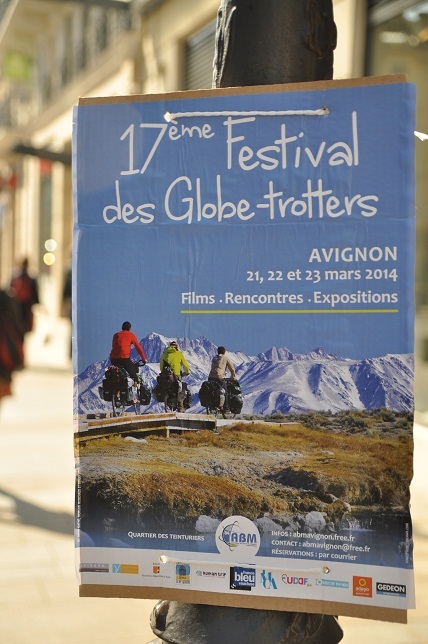 In two weeks time the 17th Travellers Festival will be taking place in Avignon ! During a full weekend, travel movies will be shown in different places in town. Over a dozen of films and documentaries are on the program, all of them made by travellers like you and me. – Documentary made by man who decided to walk around the world for 11 years. Apart from those sessions, the will also be photo exhibitions, workshops as well as travel conferences. An event not to be missed !